Senior Legal Executive Rob Winder from Burnetts Solicitors discusses the problems faced by HE institutions with halls of residence and student evictions. For Estates and Facilities management and/or accommodation staff, the summer break can be a busy time of year ensuring that everything is in place with Halls of Residence for the influx of new students in September. One perennial problem faced by institutions is what to do with students who have either refused to leave Halls of Residence at the end of the academic year; or have been removed from their course for non-attendance at lectures or behaviour issues; or indeed have accrued large sums of rent arrears. What can be done to remove them? Under no circumstances should students be forcibly evicted - whether this be by removing their belongings from the room and changing the locks or by other more subtle means, for example, turning off the power to the room. Such practice could result in the institution facing Civil Law proceedings and / or the individual responsible changing the locks, turning off the power etc being arrested and facing criminal proceedings under the Protection from Eviction Act 1977. If the student were successful in bringing a claim against the institution, the damages awarded could easily run to thousands of pounds with a similar sum being awarded to the student for their legal fees. In addition the Court will usually make an order compelling the institution to allow the student back into the room. The criminal penalty is an unlimited fine and / or up to 2 years’ imprisonment. The most effective (and least risky) courses of action for an institution to regain possession of student accommodation rely heavily on the correct agreements being in place in the first place and before any problems arise. It is absolutely essential therefore that the Tenancy Agreement, Accommodation Contract or similar is comprehensive and includes the relevant clauses relating to rent arrears, behaviour and, of course, the continuing enrolment on their course (amongst others). A robust Accommodation Contract will ensure that, if these obligations are breached by the student, a valid Notice to Quit can be served. The Notice to Quit must be in the correct format to comply with the Protection from Eviction Act 1977 and also provide specified information to the student under that Act. If the student does not leave at the expiry of the notice period, it will be necessary to issue County Court Proceedings as soon as possible to gain a Possession Order. Applications to the Court will be considered on the basis of any Accommodation Contract in place. The law relating to student accommodation in Halls of Residence is different to the law relating to private lettings and you will need to ensure you choose legal advisers with specialist expertise and experience in this area. In summary, it is imperative to ensure that the Accommodation Contract or similar is comprehensively drafted from the outset. September may seem quite some time away, but the Notice to Quit will allow a minimum of 28 days’ notice. If County Court proceedings are required, at least 2 months from the issuing of proceedings should be allowed before the Court lists the matter and there has been a hearing. If a Possession Order is subsequently granted, a period of at least 14 days will be given to the student by the Court. If, at the expiry of the period granted by the Court, the student still refuses to leave, an application for a Warrant of Possession will need to be obtained to allow the County Court Bailiff to forcibly evict the student. This can add between 3 weeks and 2 months to the process. Therefore whilst the influx of new students may not yet be at the forefront of your mind, any problems with Halls of Residence students should be considered now rather than later to ensure that the rooms are ready and available for the following year’s intake. For advice on problem students and Halls of Residence or for a review of your procedures and agreements, Rob Winder can be contacted on 01228 552222 or by email to rw@burnetts.co.uk. Burnetts is holding an event on Dealing with Problem Students in June 2014. 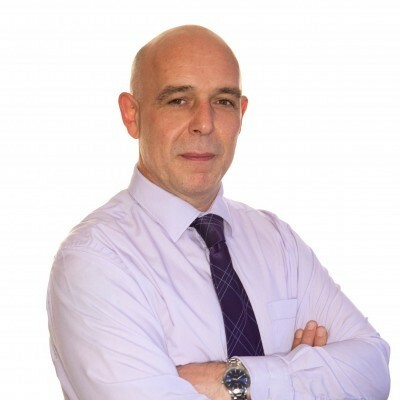 Senior Associate Rob leads the Debt and Property Recovery team and is head of the Penrith office.